I often wonder what my comic book collection would look like if I was conducting the bulk of my chase in an era without the Internet. I know collector communities have existed seemingly since the dawn of time, but the instantaneous accessibility the Internet gives us makes reviewing and purchasing a comic book easier than ever. But it also cheapens the personal experience that often went into collecting prior to the technology’s explosion less than 20 years ago. 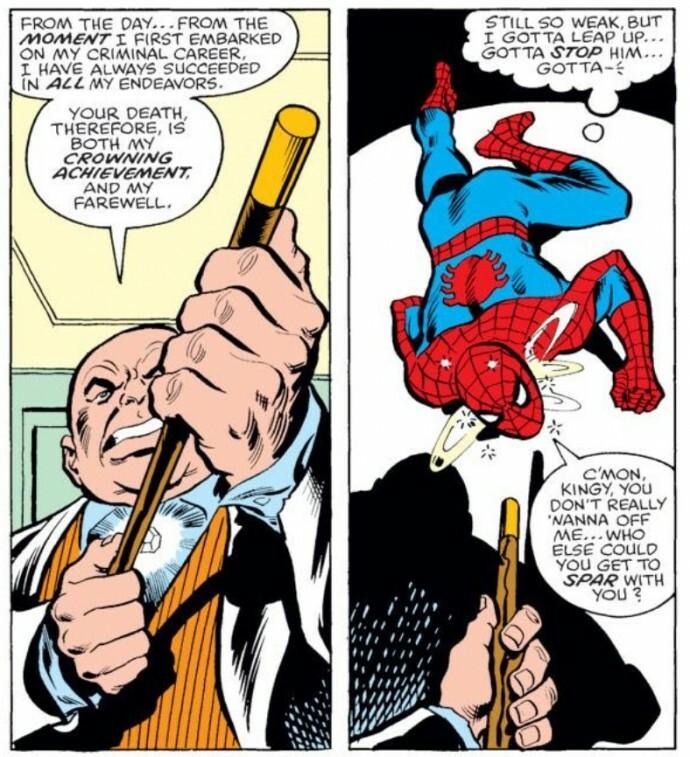 ASM #197 is a reminder of how I might have become disengaged from the person-to-person element of collecting. In my opinion, the bulk of my most entertaining anecdotes about collecting and comic book culture come from my early teenage years. In retrospect, that’s not by coincidence. When I was in junior high school, the only way I could access the Internet was via a dial-up connection and America Online. At that point, the Internet reminded me of the deep end of a swimming pool. As someone who was never properly taught how to swim, I would only cross the “line” when I had a safety net there waiting for me. My first day on America Online I got an instant message from an “AOL representative” needing my credit card number and I feel for it hook, line and sinker. So I wasn’t in any position or mindset to go exploring for comic book wheelings and dealings. Instead, I did the bulk of my buying the “old fashioned” way. If my local comic book shop or a nearby comic book show didn’t have an issue I was looking for, it might as well have never existed. Despite being a fan and collector for years, it wasn’t until fairly recently when I attended a large convention in New York City that I got to see a copy of Amazing Fantasy #15 in the flesh. Of course if I went on eBay right now, or searched a site like Metropolis Comics, I could have my pick of AF15s at my disposal. And it’s because of that last sentence that my entire approach to collecting has been forever changed by the Internet. As recently as a few years ago, I was operating under this more traditional paradigm. While I utilized the Internet to plug recent holes in my collection, I would still buy “older” issues in person, at shops or at shows. It wasn’t until I was searching eBay for some volume two-era Spideys when I noticed the same seller had a number of listings I was looking for. I clicked on the link for the seller’s eBay store and my world was changed. I ended up at mycomicshop.com, one of the largest online comic book retailers in the country. 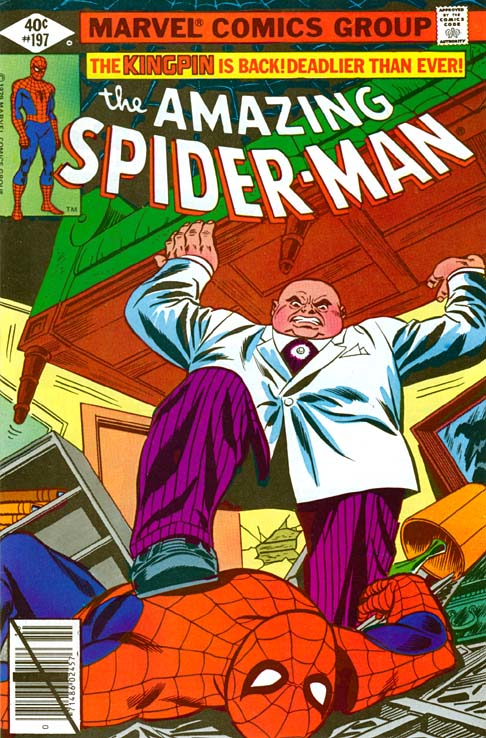 I did one broad search for Amazing Spider-Man and discovered the online store had about 80 percent of the series in stock. While I added a number of volume two issues from the 2000s from my shopping cart, I clicked through some of the older issues to gauge the sites prices and was impressed by their fairness. 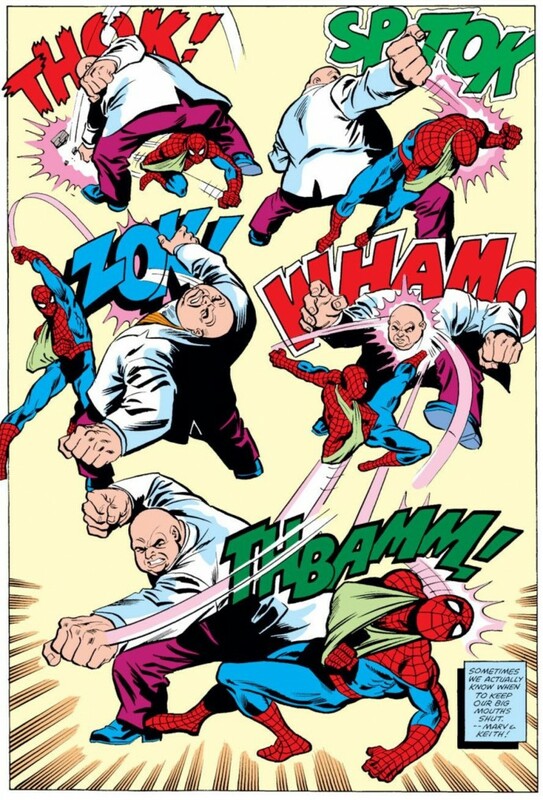 A few weeks earlier at a comic book show I had picked up a number of ASMs in the 190s but was still missing ASM #197 from that run. So I added that issue to my cart as well, marking the first non-Modern Era comic book that I had purchased through mycomicshop. And because I had spent more than $50 that day, my entire shipment of about 20 comics came free. When #197 came in the mail, I was first impressed by how meticulously packaged the comic books were. The store jokes on its web site that it’s “bomb proof” and I wouldn’t doubt it. But more importantly, I was impressed by how “by the letter” their grading criterion was. Grading is such a subjective thing, and as a buyer, I always feel more comfortable with someone who leans more conservatively (obviously, that means I’m getting the comic for a lower price). While the site provided full scans of their comic books, it was still reassuring to have the comic in hand and not find any unwanted surprises that I might have missed while reviewing the scan, or that just didn’t translate to digitization because they were so subtle. I now had a venue to easily purchase comic books from the comfort of my own home that did not require haggling or desperate bidding in the final minutes of auction and that delivered these comics safely and in the condition promised. Calling this a major paradigm shift in my collecting is an understatement. Going forward, I found myself buying more and more Silver and Bronze age issues through mycomicshop. Sure I could have hunted around for the best deal available, or tried to sneak into an auction and grab something that way, but it was just so simple and easy for me to figure out how much I wanted to spend in a given month, visit this one web site and successfully acquire a small handful of comics a few days later. Of course such accessibility has its costs. For me, I found less of a need to stop into a local comic book shop whenever one was in the vicinity, and I no longer found myself being immersed in the communal feel of a comic book show. I was buying from a vendor, but couldn’t talk about my purchase or haggle with that person to knock a few bucks off the price if I also purchased two other issues. And as someone who prides himself as a storyteller, the evolving drama of my quest, suddenly became a lot more humdrum. Does anybody really want to hear the tale of that one time I sat in front of the computer for 5 minutes and a week later received ASMs #79, #81 and #52 in VG/F condition? Even in the days before I blogged about my collecting journey, I always relished having a good story or two to share about my adventures. 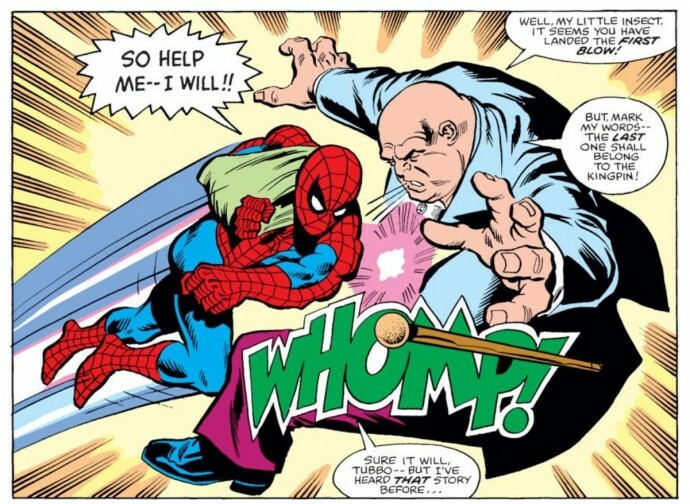 About a year ago, I was having dinner with a longtime friend who was also a professional writer and I told him about my idea to blog about my quest to collect every issue of Amazing Spider-Man. He thought it was a great idea and from there we started talking about some recent purchases I had made. He asked me if I had to travel to some exotic location, or make some kind of black market deal to get these comics and I sheepishly admitted that I had just pointed and clicked my way closer to my quest’s completion. Needless to say, the conversation about my blog and collection came to an abrupt halt from there. That’s not to say that my collecting going forward has lost all of its sense of drama – as I’ve said before, a personal story behind a comic book can often be the result of an involuntary memory. But the Internet has undoubtedly changed things. On one hand, I don’t think I would have been able to be this close to my goal if I had continued to operate under the old paradigm. Yet, I often wonder if that old paradigm provided a little more chicken soup for my soul. I hear ya. Way back when, part of the fun of being a collector was the hunt — going to different stores, hunkering down over long boxes of old comics, breathing in the musty smell of old paper. I recall how I once searched for years (literally, years) for an issue of Doc Savage, and how stoked I was when I finally found it at a convention. Nowadays, I can access mycomicshop or any of a dozen other online vendors and buy vintage comics as easily as ordering a pizza. It’s all part of the instant gratification of modern life, I suppose. I recall how, when I was a boy, if I wanted to watch “Star Trek” (the original! ), I had to wait for Saturday afternoon (3:00 on Channel 41!) If I wanted to see “Star Wars”, you waited until it was re-released in the theater. Now I can stream episodes of “Trek” on my computer, or watch “Star Wars” anyplace I have a DVD player… tremendously convenient, but it loses something. You don’t have to be as dedicated anymore, and somehow that makes me a little sad.